The Bi-State Development Research Institute, a non-profit enterprise of Bi-State Development, has been awarded a $20,000 grant from the Missouri Foundation for Health to launch a year-long program that will encourage neighborhood organizations to highlight bike share for improved health outcomes and transportation. The Research Institute will focus its funding in Social Equity and Inclusion Target Neighborhoods, which includes seven areas in north St. Louis city and one area to the south covering the Dutchtown/Gravois Park/Marine Villa area. About $2,500 will be given to the eight neighborhood organizations to engage their communities. The grant funding will be used to support a variety of needs, from organizing group rides and teaching residents about bike share, to outreach to sign people up for low income membership programs. The organizations will also be collecting survey responses from the neighborhoods to better understand how shared bikes are being used and how to make them even better for residents. Neighborhood organizational partners include: Urban Strategies, LinkSTL, North Newstead Association, Northside Community Housing, St. Louis Association of Community Organizations, Hamilton Heights Neighborhood Organization, West End Neighbors, and Thomas Dunn Learning Center. Additionally, Lime has agreed to provide bikes for free to the neighborhood groups for those events, as well as providing 240 helmets. In addition to the Missouri Foundation for Health grant, the Bi-State Development Research Institute also was selected to receive $2,333 from the New American Road Trip, as part of a joint $7,000 award for cycling initiatives with Trailnet and St. Louis BWorks. The Research Institute will also use these funds to foster engagement in the Social Equity and Inclusion Target Neighborhoods. 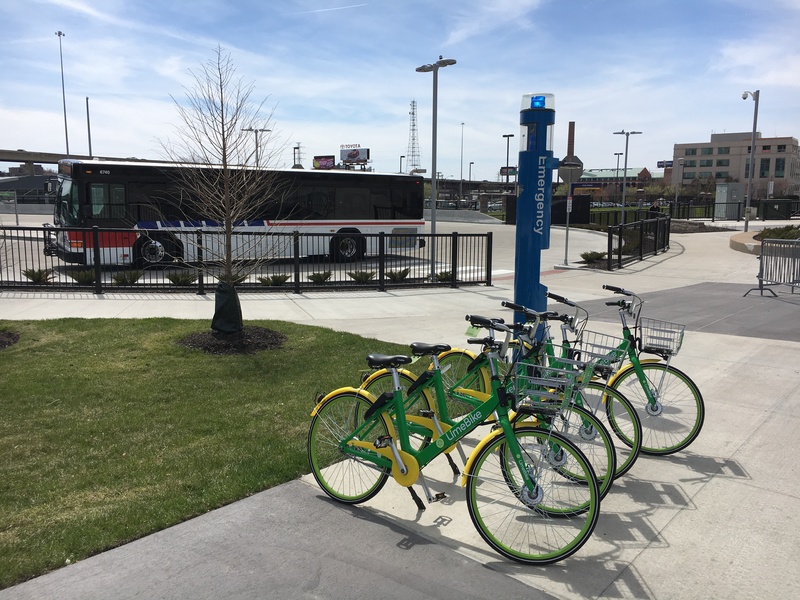 The effort to bring dock-free bike share services to St. Louis began in 2014 when Great Rivers Greenway completed a feasibility study and business plan that included extensive community engagement. Bi-State Development led the Bike Share Working Group in the refinement of that plan and identification of implementation options in 2017, which was transitioned to the City of St. Louis, which introduced the region’s first bike share programs in April 2018.